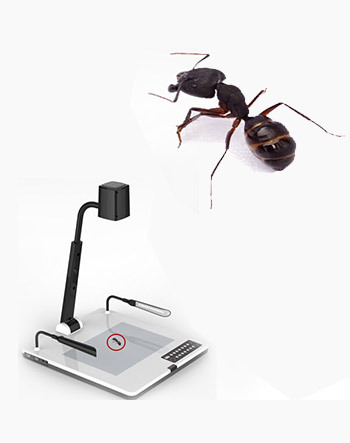 INFRALAB Document Camera / Visualiser offers you a macro learning environment, where you can demonstrate each lesson, annotate on two dimensional & three dimensional objects and record lectures with an ease. We provide 7 Models of Document Cameras namely: VPD945, VPD590, VPD600, VPD300, VPP350, VPP850 and SDC5. Download all specification sheets from : http://www.smartclassroomindia.com/visualpresenter. All Visualiser Models, except for SDC5, are independent of computer that makes them “Plug & Play” devices. And, each has built-in LED light to ensure proper lighting. Model VPP350 & VPP850 have built-in microphone to record videos with great sound quality. Simply connect with any output unit to start displaying book content or demonstrating 3D objects in the classroom. No need to install software first to use visualiser. Onboard storage allows you to save pictures and videos on the document camera itself, so that you can view those later. All models have built-in LED light to give proper lighting to the object you want to display ensuring proper clarity and high quality. You can record your product annotation or lecture with voice. In-built microphone allows you to record onboard videos. Visualiser can be connected easily to other devices via USB, HDMI and VGA ports. Experience easy transmission by connecting and sharing images with students on the go.